We all hate leaving our pets at home while we're at work or on a short trip. Wouldn't it be great if you could just open an app on your iPhone or Android and check in on your pets whenever you wanted? Something like that would cost a fortune, right? Wrong! You can setup a smartphone accessible pet cam for less than $100 and I'll show you how. IP-based security cameras have been around for many years. Over the last few years, the cost of high quality IP cameras has dropped dramatically thanks to a growing number of inexpensive wireless IP security cameras that are now available to consumers. Inexpensive IP security cameras, such as the Foscam FI8918W, feature the ability for users to remotely view and move the cameras perspective via a virtual joystick (contained within a smartphone app) to pan, tilt, and on some models, zoom in on objects. Some camera models also feature one or two-way audio, allowing users to listen in on whats happening in the area where the camera is located, and talk back and be heard if 2-way audio is enabled and an external speaker is connected to the camera. I personally own the a Foscam FI8918W. I chose the Foscam because it was inexpensive and seemed to have a lot of features for the money. I'm not going to lie to you, these cameras are very inexpensive, and as a result, some manufacturers skimp on the setup instructions. Setup is often not the most straightforward process in the world. I had to hit Google a couple of times when I couldn't make sense of the instructions. I eventually got the camera features that I was interested in to work as advertised. If you don't understand basic IP networking, then you might want to have a technically inclined friend help you with the install and setup of the camera. 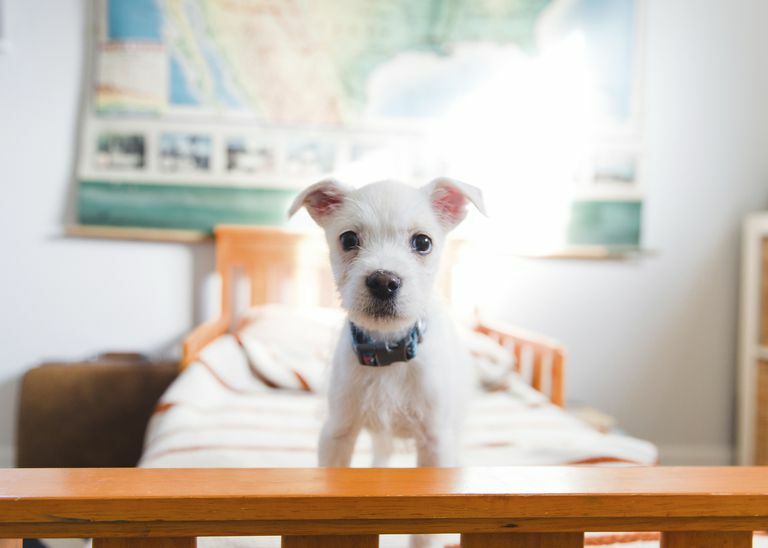 In order to connect your pet cam to the internet so that you can connect to it from your Smartphone, you will need a wireless router that supports Port Forwarding. Port forwarding provides a way for you to hide your camera's IP address but still make it accessible from the Internet. If you want to give your camera a name (i.e. MyDogCam) instead of just connecting to its numeric IP address, you will need to sign up for a dynamic DNS service that will allow you to assign your camera a name that will stay the same even if your ISP-provided IP address changes. There are many free Dynamic DNS services available to choose from. One of the more well known providers is DynDNS. Check your wireless router's setup manual for details on setting up dynamic DNS and port forwarding. There are many IP camera viewing apps available for iPhone and Android. Many of these apps vary greatly in quality and user experience. My current favorite viewing app for the iPhone is Foscam Surveillance Pro (available from the iTunes App Store). For Android-based phones I've heard that the IP Cam Viewer app (available via the Android Market) works very well with most brands of Wireless IP cameras. Lastly, you will need a pet to watch with your newly installed pet cam. We have two small Shih Tzus that we confine to our kitchen using baby gates whenever we leave the house. Keeping them in the kitchen ensures that they will stay in range of the camera and also prevents them from breaking into my liquor cabinet. Once you've setup your camera and made it accessible via the internet, all that is needed is to enter the connection information (camera IP or DNS name, and the username and password you created when you setup the camera).